We are pleased to announce the appointment of Ashley Jackson, who is to head up our Valuation Services Team based at the Stevenage office. 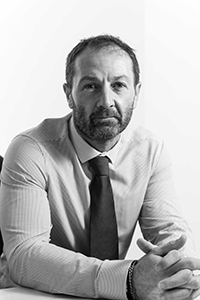 Ashley is a member of the Royal Institution of Chartered Surveyors and an RICS Registered Valuer who has spent the majority of the last 20 years based in Hertfordshire and North London advising a Banks, private clients and Local Authorities in a valuation and lease advisory capacity. “I have known Brown & Lee for a number of years and had many dealings with them within that time. It a real pleasure to be part of the team”. Ashley’s principal role is to provide valuation advice on a wide range of commercial and residential land and buildings throughout Hertfordshire, Bedfordshire, Buckinghamshire and North London for purposes such as secured lending, purchase and disposal, tax, accounting and development. If you would like to discuss any valuation requirements, please contact Ashley directly on 01438 794583 or ashley.jackson@brownandlee.com.